Speaking of fireworks…. I hope you had a very safe and celebratory 4th of July. Yes, I know June is past. But there was a whole lot going on during June in the live music world. And I know you don’t want to be left out, do ya? Didn’t think so. June was packed with its own share of explosive live music moments, so we gathered up the top posts for you, because, like that killer guitar solo or surprise concert, we want to make sure you don’t miss a thing. I hope you enjoy this wrap-up of free downloads, exclusive artist interviews and fan interviews. And be sure to stay tuned for more goodies and exciting news as the summer concert season continues to heat up. Ever Wonder How They Do It? — A questioner all live music fans need to check out about how your favorite concerts are created. How To Start Your Own Live Music Blog Part One and Two — Legendary runner Steve Prefontaine helps us kick-start a series full of tips, stories and how-to’s for bloggers. Be A Street Teamer For Reggies In Chicago — A call for hungry and willing concert fans who want to be street teamers at one of Chicago’s coolest venues. How The Fratellis’s “Chelsea Dagger Makes Blackhawk Fans Go Nuts — Is it the song, the fans or the Stanley Cup? Why Does a Tackled Slash Recall Painful Concert Memories — Take a painful peek into the past to see how a tackled Slash in Milan makes concert fans cringe. Enhanced Concert Review: Tim Fite at Schubas — An enhanced concert review of Tim Fite at Schubas. Short films, itsy bitsy spider goes gangsta and a link to Fite’s excellent FREE download album Under The Table Tennis. Chicago Blues Festival Triggers Concert Genealogy Exploration — See how Bobby Parker and Led Zeppelin spurred an exploration into concert genealogy. Why Did Fans Riot At Canceled Drake Concert In NYC? — Rioting is never cool. But for some reason concert fans can’t stop doing it? So why was it Drake fans this time? Win Tickets To see Pavement via CHIRP — A fun concert contest that I hope you entered. 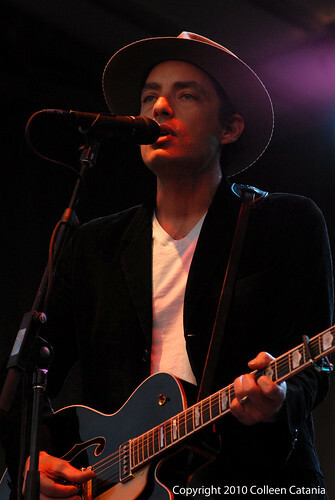 Concert Preview Jakob Dylan at Morton Arboretum — Will a unique concert setting enhance a Jakob Dylan show in Chicago? Yes, it did. See how and read the review. Concert Preview: The Fiery Furnaces Return For Two In Chicago — Ever wonder what goes on inside the mind of your favorite artist during a concert? See what’s burning inside the minds of this indie rock duo. What’s On Your Concert Road Trip Playlist? — Every road to a concert is filled with memories, but it’s the playlist that you never forget. What’s on yours? For starters, the artists on the Scion Road Trip contest soundtrack should be. 365 Days Later: How Did Michael Jackson’s Death Change Live Music? Award show tributes don’t always pay do the artist justice. But this Prince tribute at the BET Awards was a royal moment of pleasure for him and fans. Who Rocked You In June?